Home > Shop ’til You Drop! One of my proudest affiliations is my membership in Soroptimists International’s. 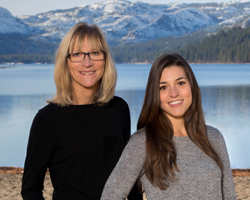 Our Truckee Donner club is a vibrant, dynamic group dedicated to improving the quality of life for women and girls in our local community and throughout the world through service, support and leadership by mentoring, fund raising and offering scholarships and awards. Our work promotes social awareness, advocacy and action. One of our main fundraisers is happening this month. On November 20th we will be hosting our 11th Annual Soroptishop fundraiser to benefit the many special programs we have that support women and girls in the community. Enjoy stress-free holiday shopping with dozens of vendors offering jewelry, accessories, clothing, gourmet foods and much more. Choose from eco-friendly lifestyle products, clothing, hand forged knives, artwork, seasonal dÃ©cor, toys, jewelry and more. There will even be personal shopping assistants at your service to provide help to those who desire it. The event is being held at the Truckee Community Center at 8924 Donner Pass Road in Truckee, CA, from 6-9pm on November 20th. The $10 entry is good for appetizers and wine while you shop. That will help take the sting out for those who are not fans of shopping! There is plenty of free parking available, as well. Bling on the Holidays! So, you can wind your way from store to store, fighting for shopping carts and parking spaces, or you can take care of most of your gifts in one fell swoop and benefit a wonderful organization at the same time. Easy choice, right? See you there! You can find out more information about Soroptimists and their programs here.